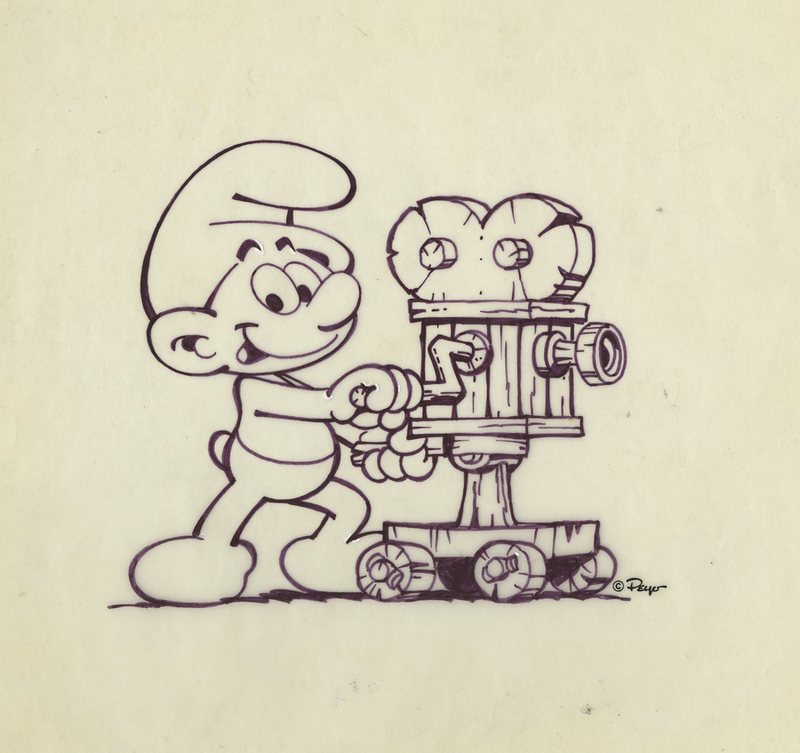 This is an original publicity drawing featuring a Smurf with a movie camera that was created at the Hanna Barbera studios and used for marketing/promotion or a merchandise design. The overall piece measures 9.5" x 10" and the image itself measures 4.5" x 5.5". 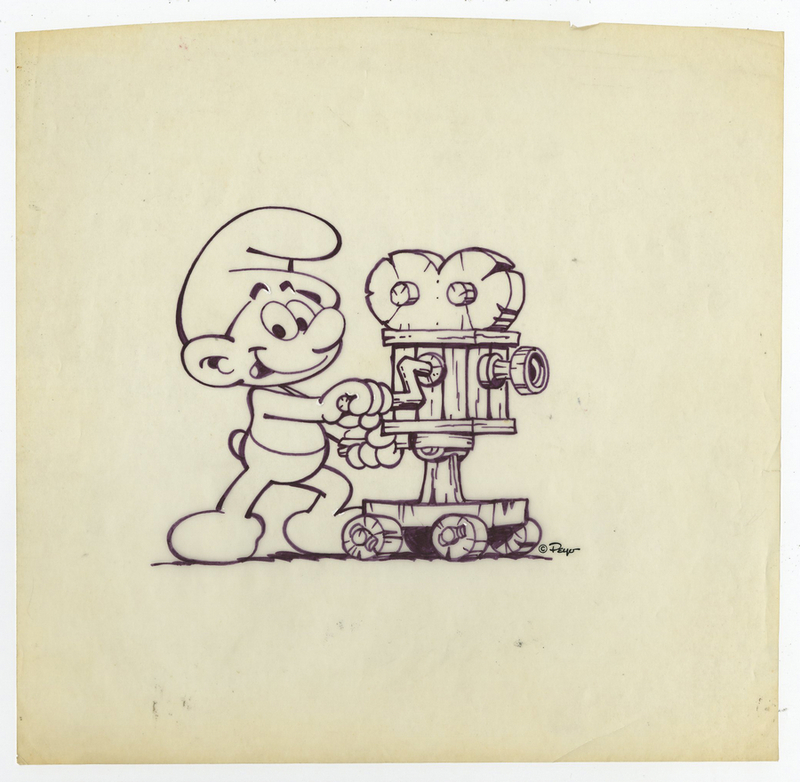 The piece is in great condition with ink and correction fluid on the velum type tracing paper, and Peyo copyright that looks to be printed on the paper.